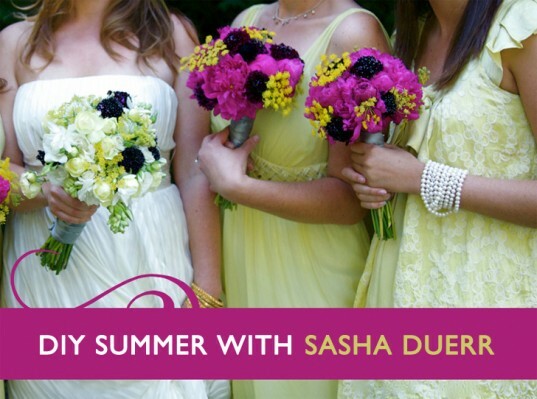 Bridesmaids' dresses don't have to be hideous, never-again affairs. If you're planning a wedding, consider allowing your bridesmaids to pick whatever frock they fancy, as long as it's in white. (Silk is best.) Although the dresses may vary in silhouette, dyeing them with the same unique plant color offers a gorgeous and unusual way of creating a cohesive look. 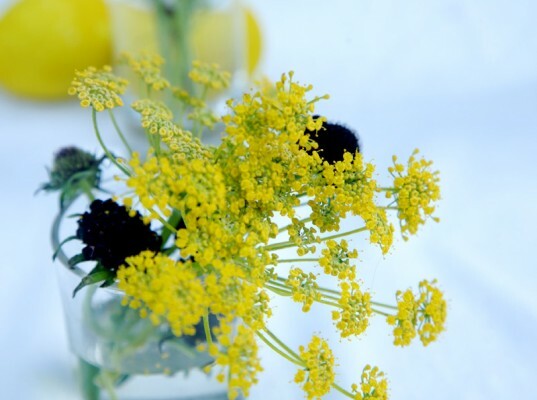 Foraged fennel makes a beautiful dye, and the flowers can be featured in a wedding centerpiece or bridal bouquet. At any wedding or special event, you can use a favorite plant from your neighborhood, garden, or region as a way of adding even more meaning and beauty to your celebration. Fennel (Foeniculum vulgare) is wonderful plant to use in dyeing. A perennial that grows wild in many parts of the world, fennel is used as both an herb and a dye plant. Fennel can be found in the summer in the San Francisco Bay Area where I live, alongside the road, in vacant lots, and in dry riverbeds. 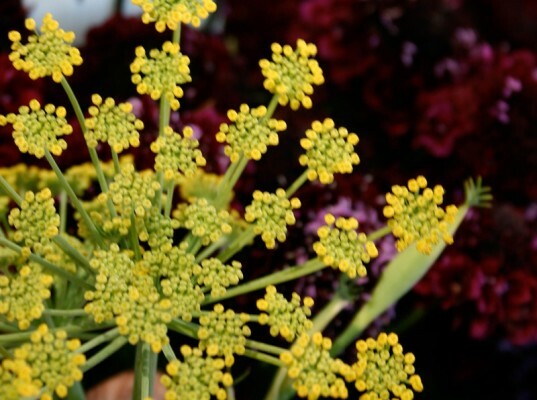 Fennel is an excellent natural dye source for creating shades of bright yellow and green. You can grow your own fennel, gather it from your local farmers’ market, or wild-harvest the invasive plant from certain ecosystems where native habitat restoration is encouraged. Note:I recommend silk not only because it’s a typical fabric for a dressy occasion, but also because silk readily takes most natural dyes. 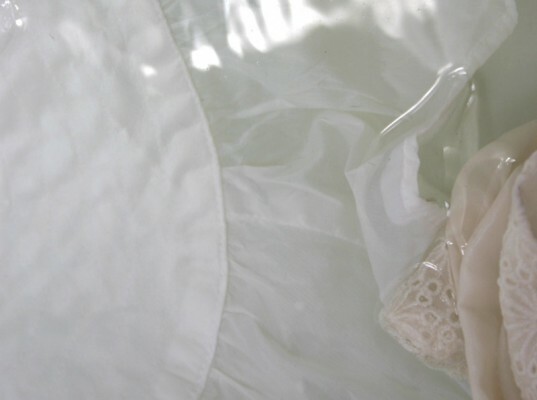 Soak the natural-fiber dress (silk will work best for this recipe) in water and pH-neutral soap (like Ecover’s Laundry Wash) for at least one hour. 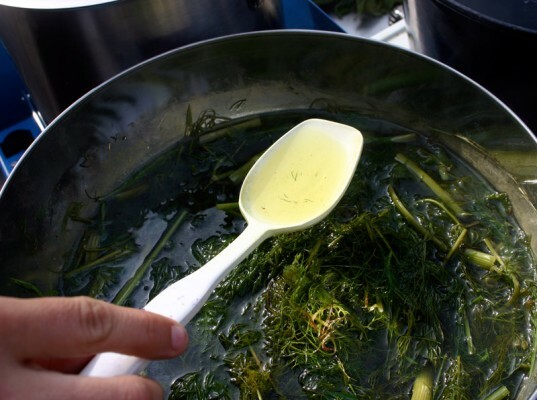 Chop the fennel and place it in a stainless-steel pot (reserve a pot just for dyeing, not for eating) full of enough water to cover your fiber. Turn the heat down to 180°F (82°C) and simmer for 20 minutes. Add alum and cream of tartar powder to the hot water. The water should turn bright yellow. Turn off the heat and let the dye bath cool. 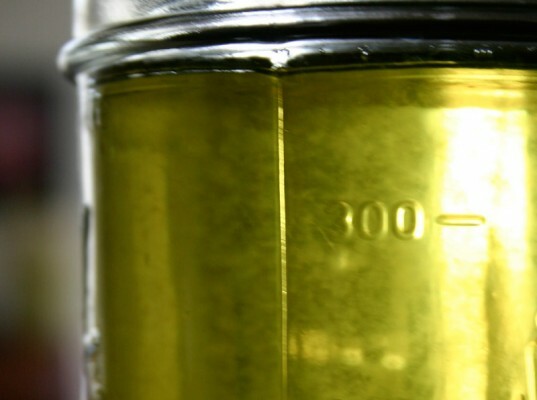 Strain the plant material and save the dye liquid. Place the wet fabric in the dye pot, and bring the dye bath back up to a simmer. Simmer for 15 to 20 minutes. For more saturated color, let the fiber steep overnight. 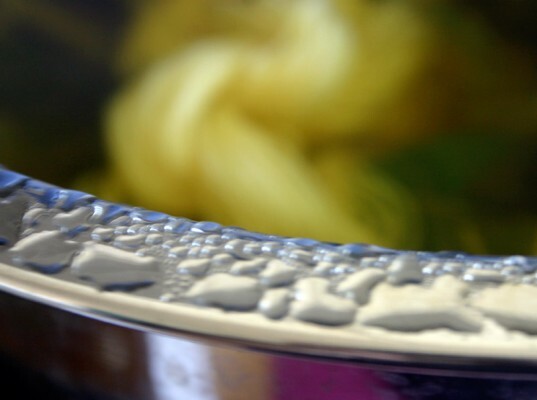 While simmering and steeping, weigh the fiber with something heavy (like an old plate) to keep the fiber submerged and able to absorb the dye color evenly. Remove the dress from dye bath. Gently wash with pH-neutral soap, rinse thoroughly, and hang to dry. The same fennel dye bath can also add style to the groomsmen’s ties. You can also dye wedding shoes, party tablecloths, and if the dye is edible, add the plant to your menu. 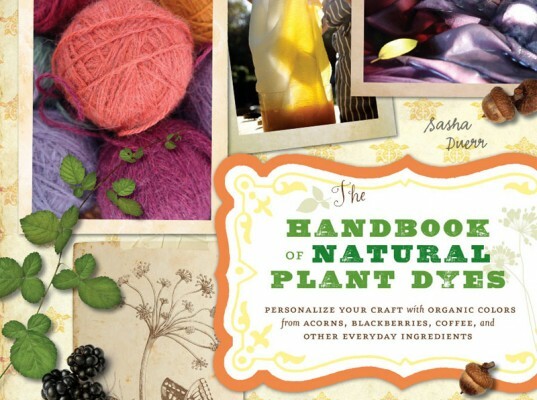 For more organic, seasonal and bioregional plant-dye recipes, The Handbook of Natural Plant Dyes will be available from Workman Publishing on November 21, 2010. 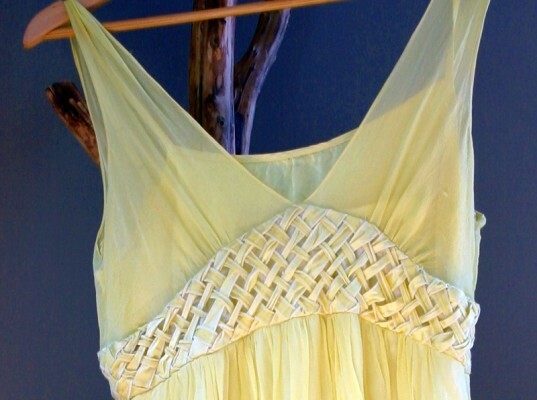 Soak the natural-fiber dress (silk will work best for this recipe) in water and pH-neutral soap (like Ecover's Laundry Wash) for at least one hour. 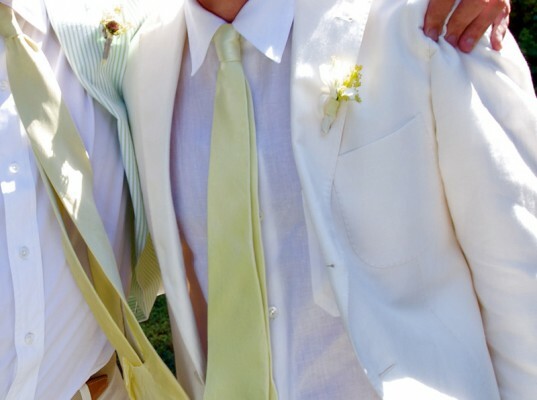 The same fennel dye bath can also add style to the groomsmen's ties.